Karen Wilhelm: What languages are spoken at your facility? How do you manage the communication challenge? No matter where a factory, or even an office, is situated, there are likely to be several languages spoken by employees. In your experience, how does that affect employee involvement, company culture, daily performance, and safety? What are your strategies for bridging language differences? Written communication can be addressed more easily than oral communication, by using photographs, drawings, cartoons, pictograms, ideograms and color codes as much as possible. It works, but only as a short term solution: these symbols amount to a new language that the participants need to learn, so you don’t want to overdo it. In the long run, the work force should be proficient and literate in the local language, and you should do what it takes to get it to this point. If you don’t want to make language proficiency a prerequisite in hiring, then you must provide in-house language training. A good example of a system understood across multiple languages is traffic signals in Europe that contain no words and are understandable to a Lithuanian truck driver on the road in Portugal. This system is easily learned as part of basic driver’s ed. The Chinese writing system is another example that, for over 2,000 years, has allowed written communication among people who speak dialects like Mandarin and Cantonese that are as different from each other as German and French. But it takes 10 years to learn. Spoken communication in the work place is more problematic because it is more difficult to control. You can’t prevent two operators from using a common native tongue when talking to each other, but it has the effect of excluding third parties, which, immediately causes interpersonal problems and may impact quality, productivity, and even safety. In factories that are foreign transplants, expatriate managers often have discussions in their own language, which accidentally or deliberately keeps locals out of the loop. While it is reasonable to expect shop floor operators to master English if the plant is in the US, or Spanish if it is in Mexico, you cannot expect them to also learn Swedish because it is owned by a company based in Stockholm. At the management level, multinational companies usually have an official language in which everyone is supposed to be professionally functional. And managers make a point of never using any other language in a mixed group. For example, two Swedes in the privacy of an office may converse in Swedish, but switch immediately to English if an Italian joins them. This topic is very relevant in central Europe where temporary workers are recruited from all the neighboring countries. I have seen six different languages spoken in one single line. Ideally everyone should speak English, the official company language, but in actual fact few operators are proficient in this language. We have widely used visual work instructions with photos and graphics and a minimum amount of text to cope with this problem. With increase of globalization, many languages being spoken under one roof, will be the norm….In California, that has been the case for the workplaces for many decades now! Working as a Toyota supplier in the Bay Area, we had over 17 nationalities with many more languages and dielects working with us. But it is not the culture of the people that’s important, but the governing culture of the workplace. You may be Indian, Mexican, Iranian or Chinese, when you come to work, however the Kaizen culture is what you have to abide by, while at work….. This is the norm rather than the exception in multi-cultural Singapore. The rule of thumb is that all documents are in English, but during the training sessions we ensure that the operators are provided a translation in their native language. Documents should also be idiot-proof with lots of pictures. During certification (usually after a period of on-the-job training), we test them to ensure that the work instructions are understood and strictly adhered to. If companies can afford it, it is not a bad idea to send the engineers for the “Communication Across Cultures” course. I find this very useful, especially when we have workers all over Asia in the plant – India, China, Philippines, Malaysia, etc. There is a lot about communication that is non-verbal. Many languages use the same tone inflection to represent emotions. This is not true for East vs West. 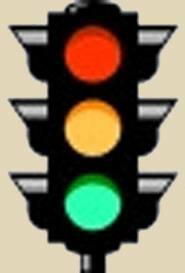 Pictographs work in places like Train stations and traffic signs. Perhaps a visual vocabulary would be in order. For more complex operations bi-tri- lingual posters will be necessary. Dear Michael always an issue. Every language and culture have things that are part of that culture. Try calanders we are about to celebrate the holidays in the US many countries do not. Communications issues are the same try to be aware that not everyone sees the world the way you do.